Animals are like us, they need home to protect them from rain, heat, cold, and enemies attack. Below is a list of 100 animals and their homes where they lives in their habitats. A habitat is a place that an animal lives. It provides the animal with food, water and shelter. There are many different sorts of habitats around the world from forests to grasslands and from mountain slopes to deserts. 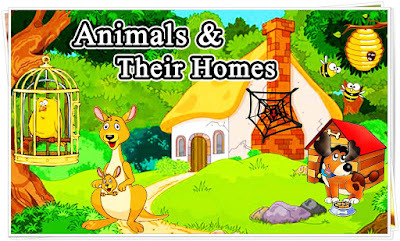 Different habitats are home to different animals. I hope this animals and their homes list can be useful for you.